Facebook’s mobile ad network was launched back in 2014 that allowed advertisers to bring their content to third-party apps on iOS. Today, the social network giant offered its host platform to publishers to monetize their apps via Facebook’s Audience Network ads. Report says, Facebook is adding support for native auto-play videos in contrast to those type of ads which have 7x enhanced performance than the conventional banner ads. 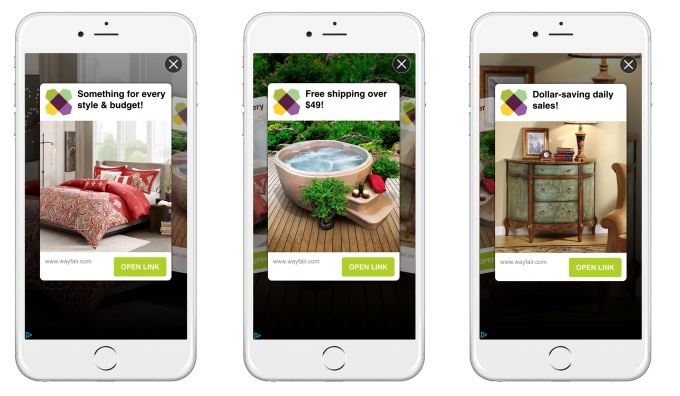 It can be seen that the unique impressions from native ads have been boosted from 60% to 80% since March of last year. Facebook has been constantly improving the video user-experience, making sure that users don’t suffer any sort of lag or stutter during playback. The auto-play video tech is one of a kind feature for Facebook’s partners to enhance awareness of their product or service in a more dynamic way. Being distracted by ads in between tasks is a completely different question irrespective of the fact that they do a pretty well job targeting their audience. The new ad formats include Dynamic ads, Carousel ads, Auto-play ads and click to play video ads that are well consumer oriented and does the job pretty well. The Dynamic Carousel ads are a response to Google’s product listing ads that lets publishers show customizable ads based on their viewing or clicking history. The feature had been appraised a lot that made Facebook add more features. There are also plans to tweak the company’s algorithms which will benefit those users who opt to go for the final purchase rather than those who just click the ad. This can have an adverse effect on the overall click-through rates, however, if it gets successful then advertisers could benefit from these valuable clicks.